Magic, it’s intriguing and entertaining! And yet, this almost ancient form of deception is a growing trend nowadays! Indeed, we all know that great magicians are roaming the streets of London and that at any time one can surge out of nowhere to perform a trick. Isn’t it what the popular British Magician Dynamo does? In fact, Street Magicians are reborn all over the world it seems. And Play’n GO decided to release a new slot in September 2018 in their honour. Very much like the street performer, Street Magic video slot will for sure entertain you. Believe it a not this game is packed with features, and there’s magic in every spin! So, continue reading this review to know more about it! A great thing about Street Magic Video Slot is that this game has many surprises in store for the players. In fact, if two magician symbols land in view during the base game, you’re guaranteed to see identical symbols land on the reels! Now the magician can either make extra wilds materialise, give you extra Scatter Symbols so that you trigger the Free Spins, or the two symbols can expand to cover 2 full reels. As we briefly inferred above, 3 magician symbols will trigger the feature. But before you play your Free rounds, know that the magician will ask you to pick a card. If you choose wisely, you could play as much as 12 Free Spins. However, an unlucky pick will still see you play 8 Free rounds. But rest assure, lucky or not with your pick you’ll still have the chance to play more Free rounds since you can not only re-trigger the feature once and pick again. But also any Wild symbols that land in view during the bonus will also give you extra spins. 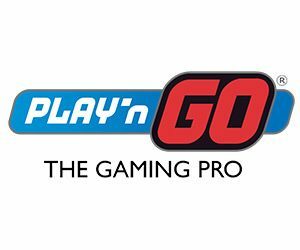 Play’n Go promised a memorising experience to whoever dares to play Street Magic! And yet we can honestly say that memorised we were when we tried this slot. In fact, not only does Street Magic offer excellent features, but we thought the Free Spins bonus truly gave lots of entertainment value. In fact, we especially like this feature because they’re two ways to win extra spins. Not to mention that the magician is also on standby in the bonus feature to perform a few winning tricks that could see you win as much as 5,000X your stake! Play’n Go are known for their quality games, and this slot is not different! See for yourself!